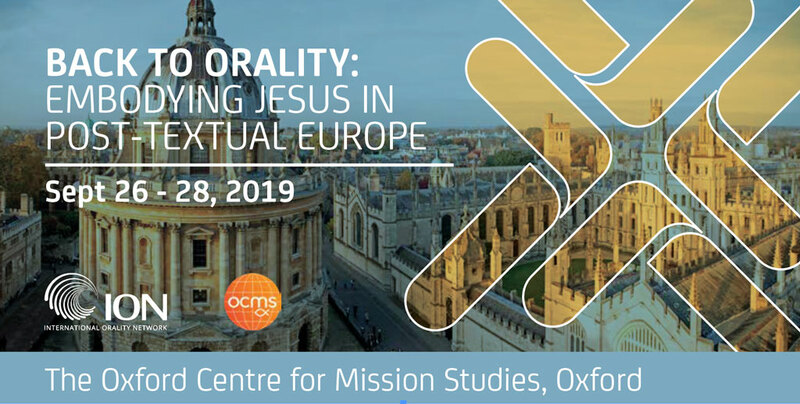 The conference Back to Orality: Embodying Jesus in a post-textual Europe seeks to draw academics, church leaders and people from the mission community to learn how to embody the love and message of Christ in primarily oral communities. Alongside presentations from experts in the field, there will be ample time for discussion, questions and sharing experiences. We are excited to announce that registration is now open for the ION European Consultation in Oxford, UK (Sept 28-30), which will be held at and in partnership with Oxford Centre for Mission Studies (OCMS). Please fill in the form below to register for the conference, or contact: info@orality.net if you have any further questions.